Our bed frame is made of high quality steel with premium finishing and look. The sprung slats work better with your mattress and thus extend the mattress lifespan. It also provides the natural bounce, adjust to your profile and support your body weight better. Our bigger bed frame has double slatted units that are supported by a central rail for stability. This ensures minimum disturbance to your partner’s sleep at night. 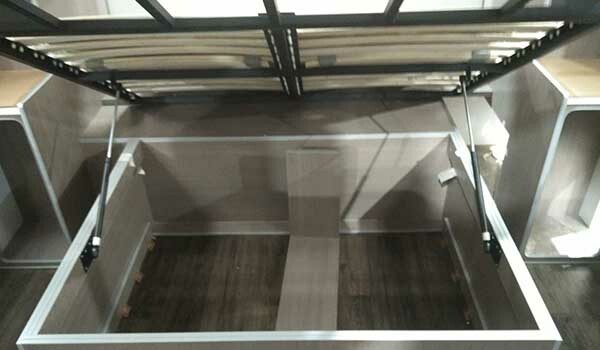 For bedrooms with limited storage space, or in a caravan, our slatted bed frame can be coupled with gas lift hinge set to make empty space below your bed accessible as storage space. The bed frames can also be coupled with motorized hinge set to ease the lifting of the bed frame.